Recently, I was presented with a great tip from one of our customers on how to use Ideate Explorer and Ideate Query to search for elements on a duplicate level and move those elements to the correct level. The issue with deleting levels is that all elements and views that are associated with that level will also be deleted, which could be catastrophic to your project. Prior to Revit 2019, if you attempted to delete a level, Revit only warned you that associated views and the level itself would be deleted. What Revit failed to tell you is that you would lose much more than the views and levels. Fortunately, Ideate SmartDelete, one tool in the IdeateApps collection, is able to report on all element dependencies. If you are interested in learning how you can use Ideate Explorer and IdeateApps to make an informed decision on how to move elements from an incorrect level to a correct level, then please watch the video below. This will show you how to move elements to another level and outline other considerations that should be accounted for before doing so. 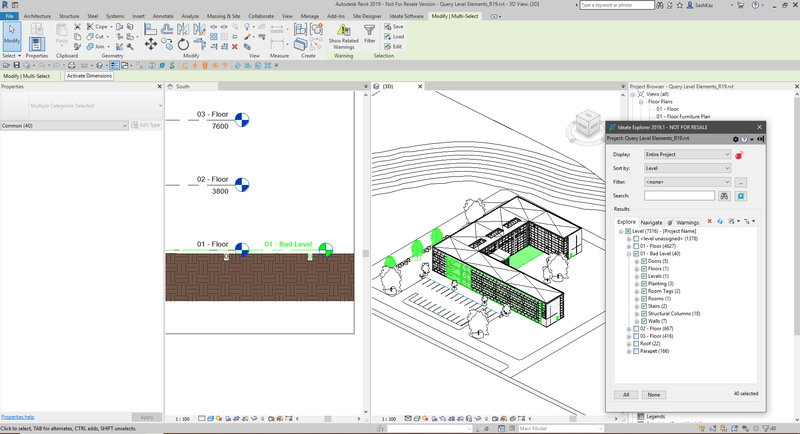 I’m always happy to hear how customers use our software tools to streamline their Revit workflows. Here’s a tip recently sent to me by Phyllis Robbins, Design Content Manager: Associate, at Eppstein Uhen Architects. When deleting Autodesk Revit demo content and combining phases, you get a message stating that deleting a demo wall will delete the insert or host. Manually excluding the infill demo walls is a bit tedious. 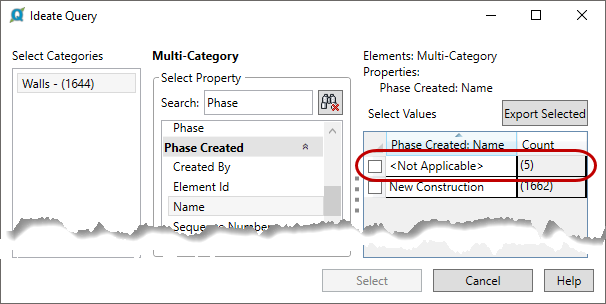 With Ideate Explorer and its Query function, you can use the phase criteria Name to exclude the infill walls from a selection set and then use Ideate Delete for everything else. This process works because even though infill walls behave correctly as phased, they do not really have a phase property when selected. Ideate Delete is part of Ideate Explorer and provides the benefit of confirming your selection set prior to deletion. Once you merge phases when updating old models, the residual infill walls will go away. I’d love to hear how you use our tools to save time and increase model accuracy. Send me an email at glynnis.patterson@ideatesoftware.com. 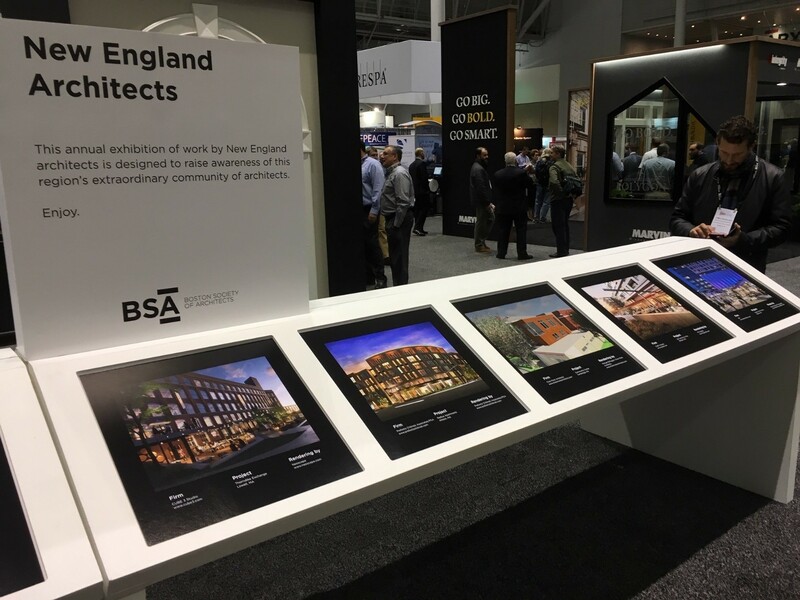 In addition, we provided tips and instructions on how to purge each type of object (e.g., Custom Family Types, CAD Import Types, and Object Styles). 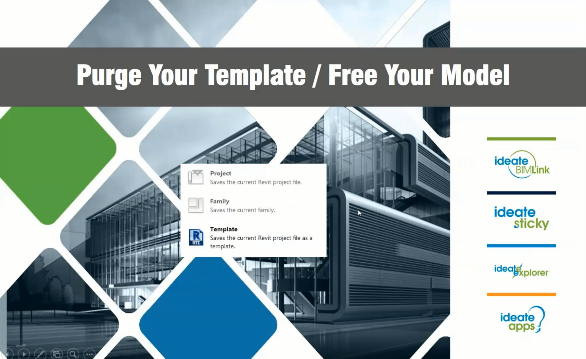 We developed this class name as “Purge your Template, Free your Model” but realized from survey feedback that a better name is “Tuning your Revit Template with Ideate Software.” Going forward, we will continue to develop and refine the class along the need to tune and manage the Revit template for optimum performance. Thanks for all the great feedback! If you missed the class, would like to see it again, or know someone else that would benefit from the lesson, here’s a link to the recording. Q. In Ideate ViewCreator, where does a view get defined when using specific sized views and scope boxes? A. When you select the view to use as a base, it becomes the foundation for newly created views. You can start to make View Property changes to the new view. Q. Can you talk more about warnings definitions list you recommended that we add to the template? A. Our Warnings Manager comes with a definition list of all 915 possible warnings. You can define a warning outside of your project or inside your template. You can establish a corporate standard on how each warning is ranked, so you can give your end users feedback into the severity of the warning. Q. Regarding the threshold of warnings in Warnings Manager, is it a user setting or a file setting? A. It’s either saved in the actual file in the template, or if it’s not saved in template or the project itself, it’s based on the user setting on where to pull the information from. Q. I have a template that has another company’s name all over it. Can I search on the company name throughout the entire template? A. Using Ideate BIMLink, you can filter the family and type names and export the list to Excel, search for the other company name, and replace it with a blank field. Then you can import the data back into Revit. Did you miss the webinar? Would you like to listen to it again or share it with a colleague? Here’s a link to the recording. Q. Can you assign a view template to the duplicated views when you create them, or do you have to assign them manually after they are created? A. You can “apply” up to three view templates and finally “assign” one to be permanent. Q. Are ViewCreator rules by project, or are they loaded from that central file? Will they overwrite each other if reloaded? A. By default, when ViewCreator runs the first time in a project, it will load the rules from the default location. If you centralize rules you have customized, you can repath rules to your server. If you load rules with the same name, they will overwrite the original rules. When you load rules, they are on a per-project basis. Q. Where can I get more information on the BIM Link Placeholder Sheet function? A. Visit “Create New Placeholder Sheets in Revit with BIMLink” on our website. Q. Can you modify title block parameters within the rules? A. Not with the rules, but Ideate BIMLink is great for modifying more properties, and Ideate Clone allows you to do sheet names and numbers when creating sheets. Q. Do all the views have to be the same scale to align the views? A. The view scales do not have to be the same, but they will be in the same location with that scale. We give people flexibility because by default, we look at views that have the same scale and same type, so if the scale or type are different, we give you options for a swap out. 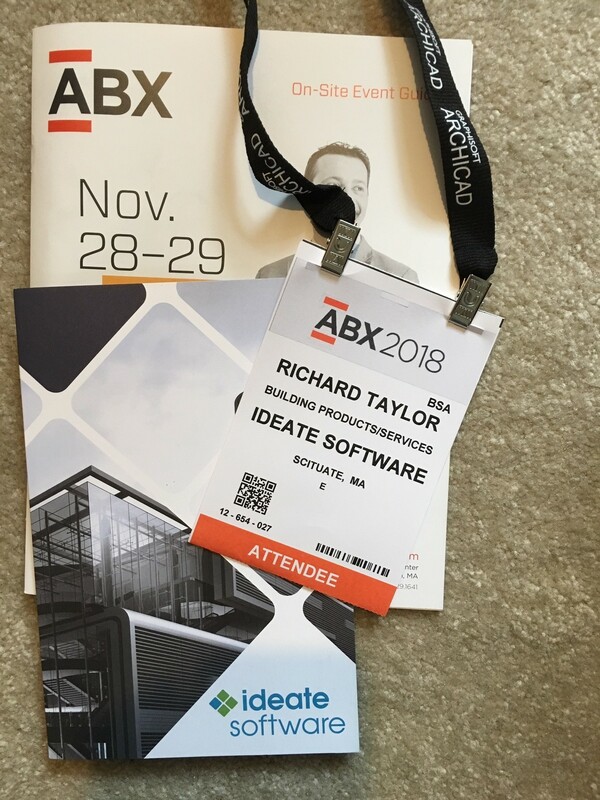 Want to learn more about IdeateApps? Check out the short how-to videos on our website. Give it a try with a free trial version, or subscribe today. 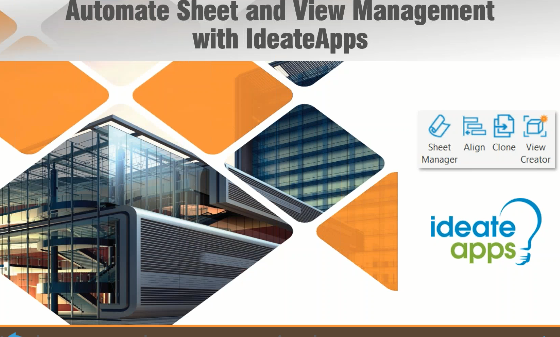 For more information on how Ideate Software tools can enhance your business, please contact us at sales@ideateinc.com.